Good value, often this price in Morrisons when they have a "half price" offer. Not too much dearer in Asda's for the 300g jar (£4.00 I think). Anyone know why Kenco has disowned this? Their name is removed from the all the packaging and it is not on their website. I'd guess it's to differentiate from their pricier lines, anyone know anything? Good value, often this price in Morrisons when they have a "half price" … Good value, often this price in Morrisons when they have a "half price" offer. Not too much dearer in Asda's for the 300g jar (£4.00 I think).Anyone know why Kenco has disowned this? Their name is removed from the all the packaging and it is not on their website. I'd guess it's to differentiate from their pricier lines, anyone know anything? Thanks for your added views. But could you tell me the price in morrisons and asda today. Which is more relevent to this Deal? 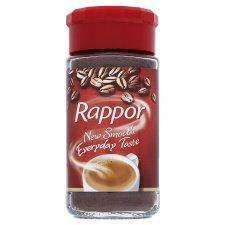 I have to be honest and say I tried this coffee as it was offer in Asda recently, but didn't like it so was disappointed. We all have preferences but on this occasion it wasn't to my taste. Always good to share views on here though.